One for every "official" day of the season. Brought to you with unabashed bias by the BuzzFeed food editor. 1. Sip an umbrella drink by the pool. 2. Make an ice cream sandwich out of a waffle. Here are 21 other ice cream sandwiches you should also consider. 3. Take a mini road trip just to eat something amazing. Roadfood is the best guide to road trip food — hands down. Now a website, the guide was originally a book that came out in 1977 when the writers Jane and Michael Stern started documenting American regional food. Then it turned into a magazine column in Gourmet, and several more books, and now it's a huge online database of regional meals along highways, in small towns and in city neighborhoods. All that is to say, pick one meal (or a bunch?) near you, and make it a summer goal to get there. Pictured above from top left, clockwise: ice cream at Blue Bunny Ice Cream Parlor in La Mars, Iowa; buffalo chicken wings at Anchor Bar in Buffalo, New York; a platter from Ted's Hot Dogs in Tonawanda, New York; a beef taco at El Charro in Tuscon, Arizona. 4. Make ice cream from scratch. 5. Throw a party with a DIY Hot Dog Bar. Or get yourself invited to one? Awesome topping bar ideas over here from Bon Appetit. Here are some other great ones from Taste of Home. 7. Have a bowl of cold soup on a hot day. Get the recipe for Chilled Peach Soup with Fresh Goat Cheese. Get the recipes for five cocktails made with grilled ingredients on Bon Appetit. 11. Snack on the beach. 12. Drink something out of a coconut. 13. And also out of a pineapple. Get the recipe. More tips on grilling steaks here. 15. Freeze something fun into your ice cubes. 16. Eat watermelon ON A STICK. 17. Go on a picnic. 18. Eat tomatoes when they are in season and taste like dreams coming true. 19. Eat them for breakfast too. 20. Start an herb garden — even if you don't have outdoor space. 21. Eat a boozy fresh fruit salad. 22. 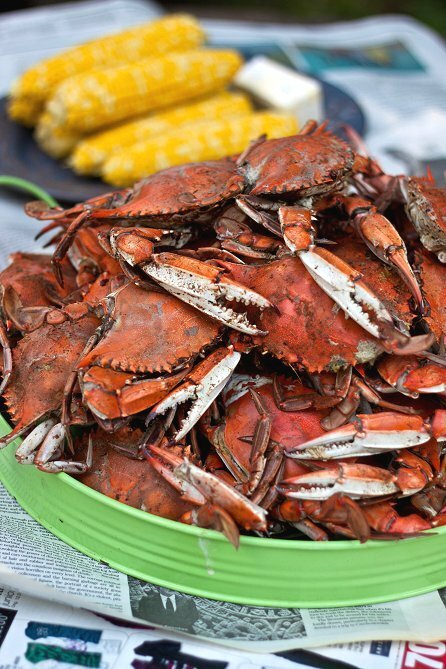 Eat Maryland blue crabs. 24. Or, if you'd like to live forever, give up coffee for iced matcha tea. BTW, there's a machine for that now. 27. Actually, grill all the fruit. 28. Make a classic mint julep. The ice is the most important part. Here's how to crush it. Recipe here. 29. Eat an unreasonable amount of guacamole. 30. Eat Mexican street corn. 31. Hang out around a fire and drink whiskey. 32. Preferably out of a flask. Here are 37 flasks that are awesome. 33. Eat cherries while they're in season. 34. Eat a lobster roll. 35. Eat a corn dog. 36. Drink Pimm's Cups as often as possible. 37. Kick it on a sick lawn chair. 38. Make some weird Jell-O shots. 41. Have an early dinner party outside, and sit around talking past when it gets dark. 42. Make pesto out of summer corn. This recipe for Tagliatelle with Fresh Corn Summer Pesto — created by Ian Knauer — might be the best part of your summer. 43. Dip popsicles in Prosecco. Here are 41 Camping Hacks That Are Pure Genius. 45. Eat melon and prosciutto. 46. Fall asleep in a hammock. 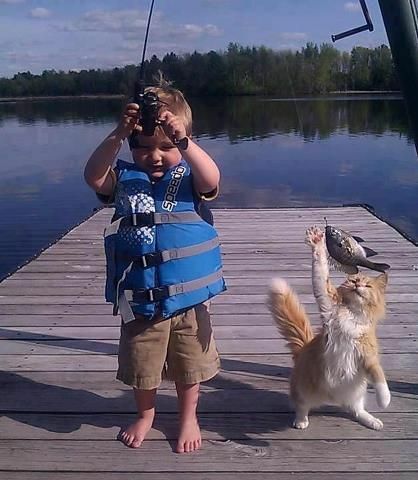 Cat shows how it's done. 47. Stuff your face on the Fourth of July. 48. Eat as many regional BBQ styles as possible. Here's a guide to regional BBQ styles from Serious Eats. 49. Do some day drinking — even when you have to hide it. 50. Grill kale for a salad. 51. Drink frozen hot chocolate. 52. Make this incredible black rice salad. It is so good. Here is the recipe. 53. Eat Mister Softee as often as possible. 54. Use this trick to cool down a drink more quickly. 55. Make a punch bowl out of a watermelon. Get this recipe here. See 33 Super-Cool Popsicles to Make This Summer. 58. DIY a floating bar. 59. Get a margarita manicure. More amazing rooftops over here.